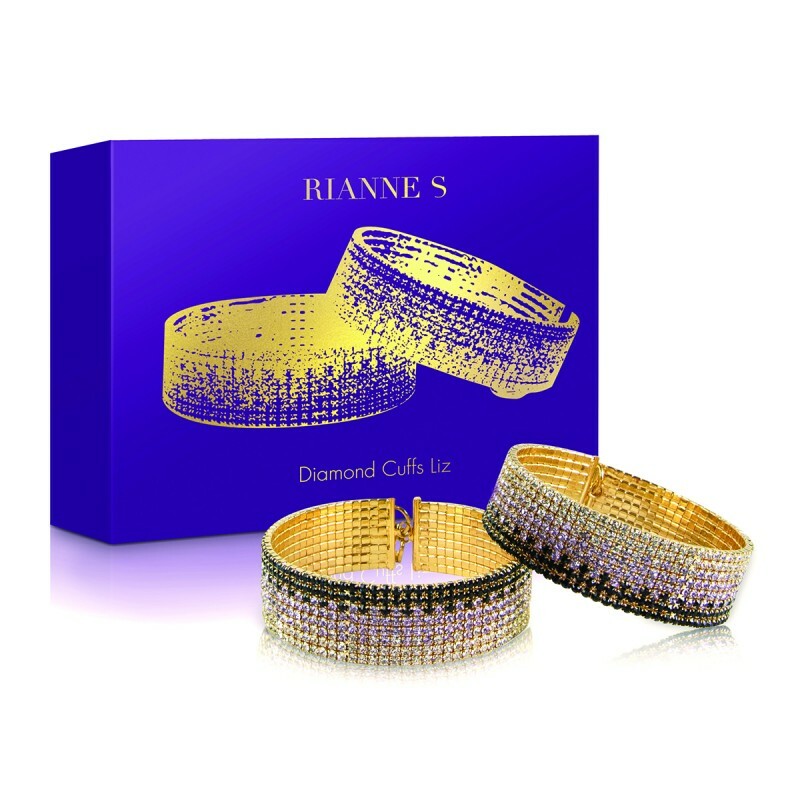 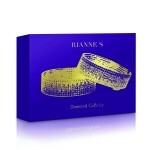 These sparkling bracelets can be worn as beautiful jewellery, then transform into a sublime pair of handcuffs. 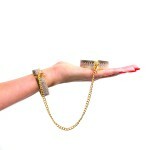 Designed as a jewel to be worn and not as a real pair of handcuffs. 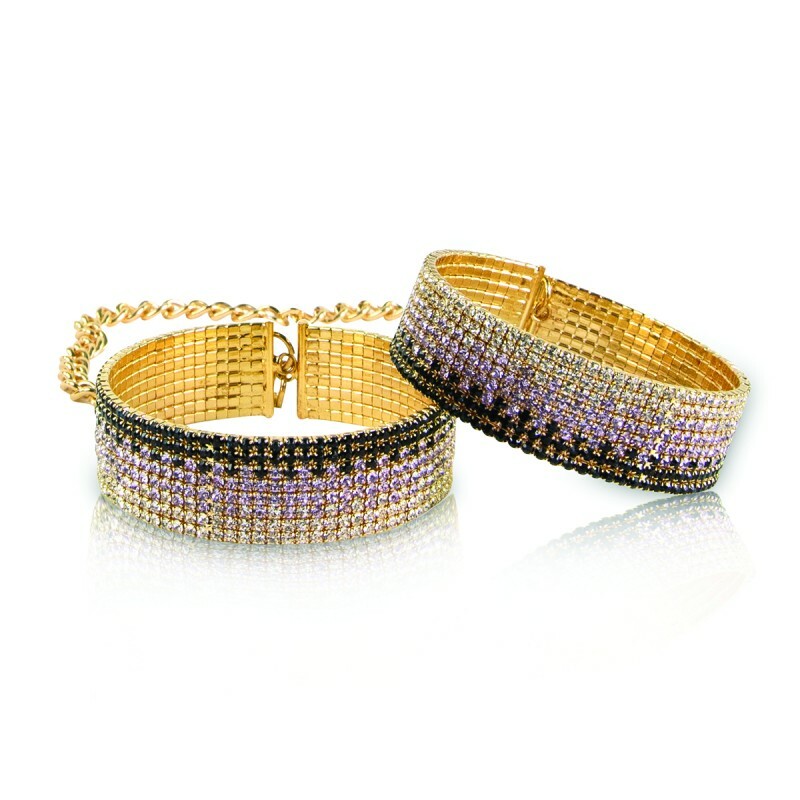 These refined handcuffs with a golden finish are topped by sparkling black, white and purple coloured stones.